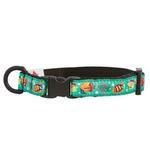 Cats and owners will love the life saving Kitty Breakaway Cat Collar - Tropical Fish! 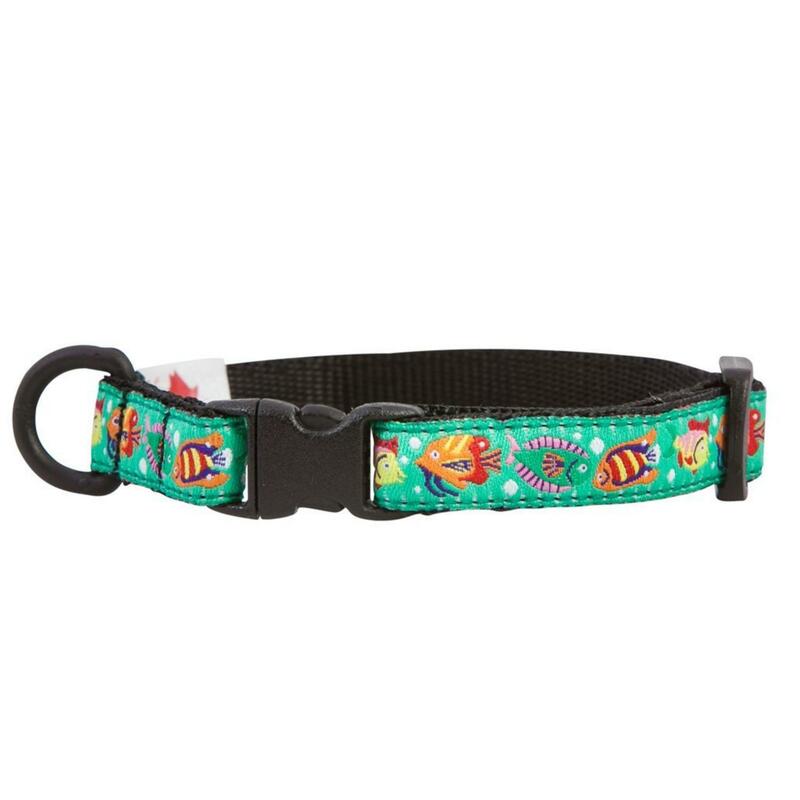 When cats get themselves into the oddest places, worry no more with the safety of a Kitty Breakaway Cat Collar - Tropical Fish! Breakaway collars give way if they get snagged up on something saving cats from dangerous mishaps. It features a lightweight plastic D-ring for ID tags and a fun fish pattern. Machine wash cold on delicate cycle. Do not wash with touch fastener items. Hang to dry. Do not iron, do not bleach, do not dry clean. Presley is an old guy having an issue with hair loss, and with his new red shirt on he looks like a new little man! He said he would like a couple more, too! !